Bethel Kids is our weekly environment created especially for your kids. We have two phases of a child's spiritual development - Infant through Preschool and Kindergarten through 5th grade. We know things are busy at this stage of life and your children are learning and growing in amazing ways. We are ready for them and can’t wait to meet them! We use the curriculum "First Look" which consistently centers on giving preschoolers a first impression of their heavenly Father. We believe in an active, hands-on approach to learning with preschool children. So, you can plan on a lot of jumping, singing, dancing, and laughter in every experience. Be on the lookout for fun crafts and silly games. In Bethel Kids, we believe the Bible should never be boring, worship can be fun and loud, and good leaders always care. We use the curriculum 252 Basics which is designed to provoke discovery and invite kids into a new understanding of how to grow in relationship with God through Jesus. 252 Basics is dedicated to helping children grow in wisdom, faith and friendship. In fact, when a kid transitions to Middle School, we want that child to have experienced and owned three basic truths ascribed to Jesus in Luke 2:52 (And Jesus increased in wisdom and stature, and in favor with God and men). 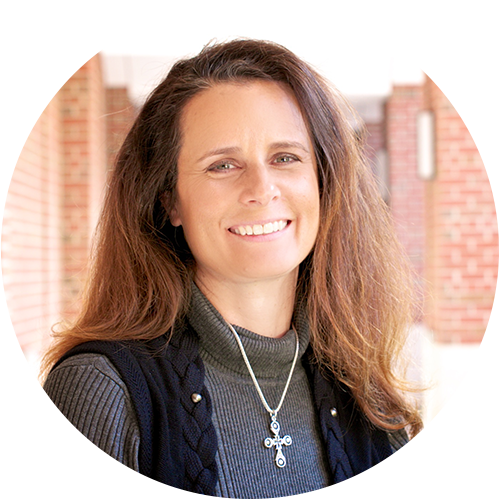 Robbyn has been on staff at Bethel since November 2012. She (with her husband, Shawn and family) moved from Oklahoma to Houston in May of 1999. They visited Bethel that same year and enjoyed the teaching, worship and warm and gospel-centered teaching within the Children's ministry for their kids, Jesse and Charlie. Within a few months, Robbyn quickly plugged in by teaching Sunday School and other kid's programs at Bethel. Fast-forward to today, Robbyn leads Bethel's Kids Ministry and is passionate about living out Jesus in front of the kids she teaches and serves. The safety and security of your child is a priority for us. We require all children to be checked in at one of our Bethel Kids check-in kiosks located in the Fellowship Hall and the Bethel Kids Welcome Center located on the south side of the church near the main entrance. At Check-In your children will receive name tags along with a matching claim ticket which will be required to pick up your child following the service. This will allow us to know exactly where your child is throughout the morning, and have instant access to your contact information just in case your child needs you.